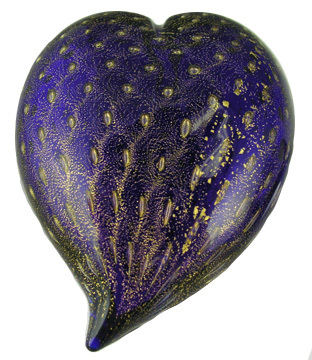 This handblown Murano glass paperweight is heart shaped in deep lapis blue and features gold speckles. Size is about 2 1/2 inches. Hollow inside. Handmade in Murano, Italy. Authentic Murano Glass.